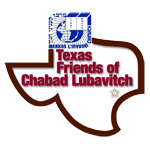 Visitor's Guide - Chabad Lubavitch Center - Texas Regional Hdqrtrs. Welcome! Whether you're here for business, visiting or enjoying a visit to TPC Sawgrass, Chabad Lubavitch Center is here to help! Below we have included helpful resources for you during your stay in the area. If you need more help, feel free to give us a call at 713-777-2000 or click here. Carries a small selection of Glatt kosher meats, frozen entrees and appetizers, as well as Israeli foods and dry goods. Carries a small selection of non Glatt kosher meats, frozen entrees and appetizers, as well as great kosher wine and many varieties of kosher groceries. Carries a small selection of frozen kosher meats, frozen entrees and as well as Israeli foods. Carries a very nice selection of kosher meats, cheeses, frozen entrees and appetizers, as well as Israeli foods. Jerusalem Grill is located in Ormond Beach, 1 hour and 15 minutes from Chabad Beaches. Jerusalem Grill is a meat restaurant and also offers a grocery store and Cholov Yisrael Pizza shop next door. Eden Fresh Cafe is located in Ormond Beach, 1 hour and 15 minutes from Chabad Beaches. Click here for a map of hotels near Chabad Beachs. Chabad Beaches offers Shabbat Meals on both Friday Night after evening services as well as a Shabbat Day Kiddush Luncheon. There is no set price though donations are welcome. Visit our Synagogue section here for more info.